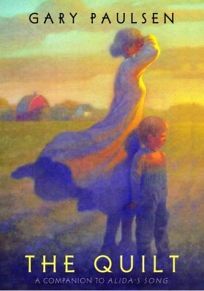 A follow-up to Alida's Song, The Quilt by Gary Paulsen relates the boy's experiences at age six, spending time at his grandmother's Minnesota farm in the summer of 1944. Here, they, along with the other women whose husbands are off fighting, help a neighbor who is ready to give birth. In this moving sequel, the boy learns about life, death and the quilt that is a pictorial record of his familial ancestry.